As Nantucket’s only member of Relais & Châteaux hotels, the historic inn is renowned worldwide for its outstanding service, cuisine and accommodation offering, that draws an international clientele and guests from throughout the US and beyond. The Wauwinet commissioned Gauthier-Stacy – known for its design of other Nantucket properties such as the Great Harbor Yacht Club and Cru, a local favourite restaurant – to redesign the hotel’s interiors. Under the firm’s direction, each guestroom has been reimagined from the bottom up, starting with new floors and carpets and a fresh palette of light, inviting tones to replace the original wallpaper. To complement the picturesque views of Nantucket Bay, an extensive collection of original oil paintings and other artwork will be on display throughout the property – each piece hand-selected by the hotel’s owners, highlighting the island’s natural and nautical landscape. In the guestrooms, The Wauwinet’s already much-loved beds will be updated with modern bed frames and topped with custom Pratesi by Rivolta linens. New plush armchairs, chaise longues and other furnishings will add to the warm, welcoming atmosphere. Contemporary updates continue throughout, with completely reimagined bathrooms now featuring marble floor tiles laid in a herringbone pattern and glass-enclosed walk-in showers. Waterworks fixtures have also been installed throughout. 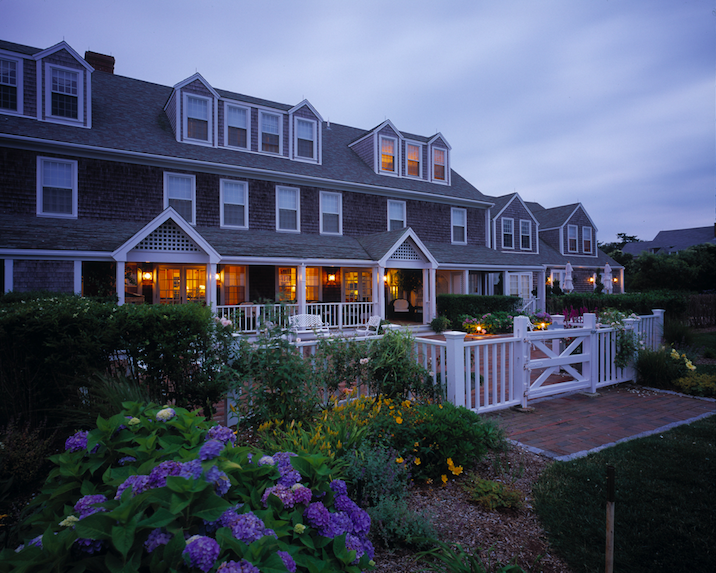 Originally opened in 1875 as one of the island’s first hotels, The Wauwinet as guests know and love it today officially became part of Nantucket Island Resorts in 1988. It is one of the most cherished properties on the island, providing a serene and romantic backdrop for weekend getaways, weddings and other milestone events. Guests of The Wauwinet enjoy picturesque sunsets and outdoor activities, from surfcasting to bike tours, and have full, limitless access to both the beach and Nantucket Bay. Visitors return year-after-year to recapture the magic of their first experience, and the hotel’s design team has taken painstaking measures to ensure the new look and feel still feels like their home away from home. The exclusive ‘all-American’ isle of Nantucket, located off the East Coast of the US and just a quick flight from New York and Boston, is known as a discreet high-end hideaway that attracts a super-chic summer holiday crowd. Small in stature at just 14 miles long and 3.5 miles wide, Nantucket is truly an island haven that is big on things to do for all ages. The Wauwinet is also home to TOPPER’S, the island’s only AAA Five Diamond award-winning restaurant. Serving over 1,500 wines, it has been awarded the Wine Spectator’s Grand Award for 23 consecutive years. TOPPER’S offers á la carte and prix fixe menus showcasing seasonally inspired cuisine, with an emphasis on local produce and seafood. Guests can sample the locally harvested Retsyo Oysters on the half shell, cultivated just 300 yards away – this Nantucket institution truly taps into the island’s rich supply of fresh regional ingredients from land and sea. For more casual fare, visitors can instead grab a spot on TOPPER’S Deck which has become a perennial favourite, where they can dine under a heated awning with views of the bay, and enjoy lighter bites and beautiful watercolour sunset views.